The Star Plaza an array of comfortable rooms within a pocket-friendly price range. The rooms have been decorated beautifully in regal colors. Large windows have been provided in each room which allows the guests to enjoy a lot of sunlight. The bathrooms are well-maintained and equipped with basic amenities. The aisle between the rooms is quite wide and well-lit. 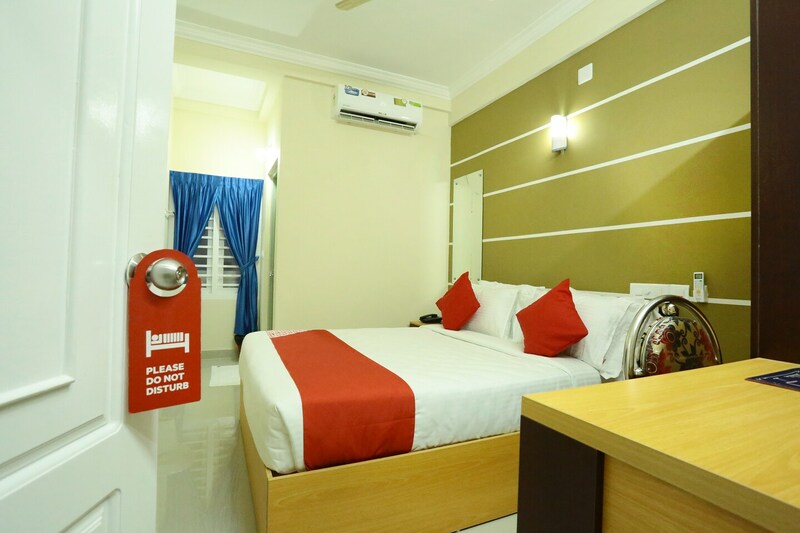 The additional features provided by the hotel are free Wi-Fi, a power backup source, parking provisions, and CCTV cameras. The front desk service is located very conveniently and is managed by experienced staff. The reception area is furnished with some plush sofa sets along with a small center table.